Brent is ATC’s “Malad Chief” a.k.a. Plant Supervisor. Brent has been with ATC since 1998. As the head of our Malad area, Brent can often be found working heavy equipment, trenching lines, and connecting new customers to our expanded fiber network. Brent loves hard work, learning about new technology advances, and the great outdoors. He enjoys a “man’s dinner” of steak and Mountain Dew – almost as much as he loves hunting with his hounds. 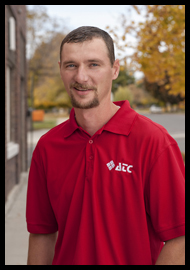 As an advanced combo technician, Brent is a valuable member of our ATC team.